The Dutch military establishment is one of the latest organisations to choose the heavy-duty Nato 200 jump starter product from Powervamp. An order for an undisclosed but reportedly large number of the company’s Nato 200 units has been placed through Powervamp’s Dutch-based distributor, Lowland Aerospace. 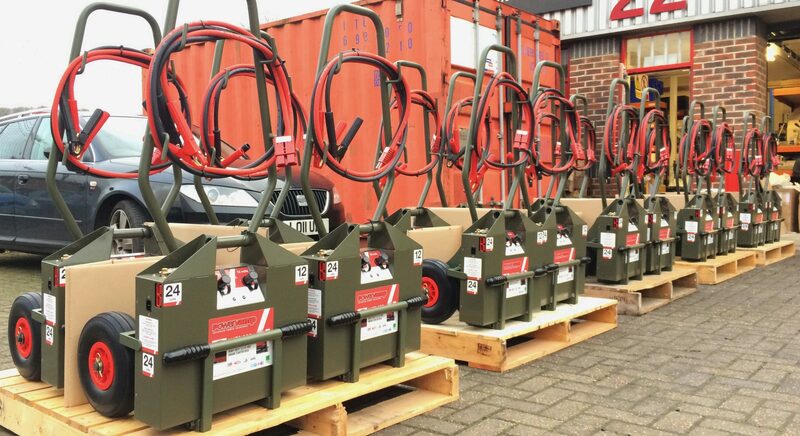 Powervamp’s Nato range of jump starters was originally developed for the Dutch military some years ago, and was subsequently adopted for civilian use. Among features that appealed were their simple design, robust build quality and massive power output. The Nato 200 can start all 12-volt engines, plus 24-volt commercial-vehicle engines up to 18 litres. Powervamp Nato 200 – heavy duty 12v/24v jump-starter. Although the Dutch distributor, Lowland Aerospace, operates primarily in the aviation industry, this order for automotive jump starters demonstrates that the company’s involvement with Powervamp extends across the whole of its product range – from car, truck and train jump starters to aviation ground power and battery-based units that can start a large jet engine. 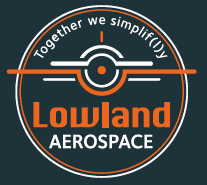 Lowland Aerospace, a relatively young company, provides a parts supply, support, replacement and distribution service for the widely-used AW109 helicopter range from Leonardo (formerly AgustaWestland). It is spearheaded by energetic sales director Koen Versseput, who has fifteen years’ experience in the aviation parts supply, component repair and exchange business, and has built up wide-ranging contacts throughout the industry. “Powervamp has been one of the most helpful and proactive companies I’ve encountered during that time,” he says. First consignment of Lowland order being prepared for despatch. Lowland supplies everything from instruments and avionics systems to hydraulics, rotor blades and engines. It keeps a stock of components and an exchange pool at its base in Hazerswoude, easily reached from The Hague, Rotterdam, Amsterdam and Utrecth. The company has built up a strong reputation in parts supply logistics, offering services such as vendor-managed inventory, consignment stock and exchange solutions. Koen Versseput – Sales Director, Lowland Aerospace. Lowland represents leading suppliers from various countries, “so Powervamp was a good fit for us,” Koen says. Currently the distribution agreement with Powervamp covers The Netherlands, but its own activities involve clients from around the world. 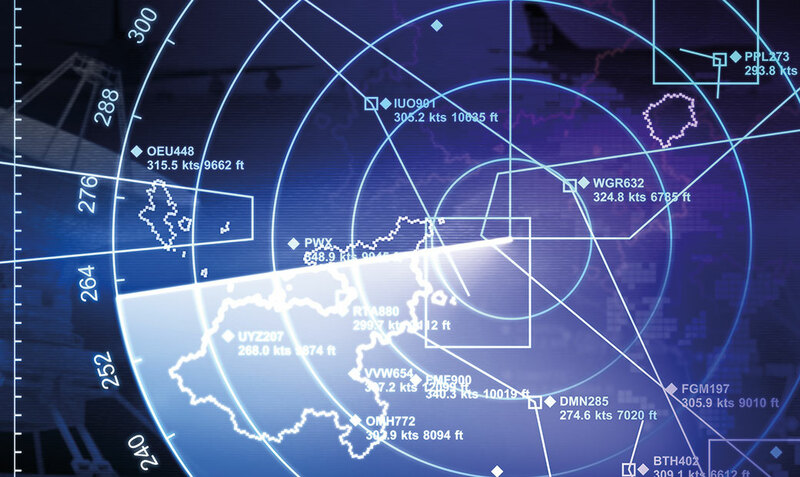 Lowland is certified as meeting the AS9120 quality standard, which incorporates ISO9001 quality approval and extends it to cover aerospace-specific requirements. “Powervamp of course is also approved to ISO9001 standard,” Koen points out. The Powervamp Nato 200 model being supplied to the Dutch military differs slightly from what is now a standard civilian Powervamp product, incorporating small changes such as longer connector leads to provide better reach when used with very large military vehicles. In addition, the trolleys being supplied with the Nato 200 Twin model (featuring two Nato packs in parallel) are finished in military green instead of yellow to match the powder-coated green steel cases of the units themselves. Nato 200 is currently used in plant, commercial and transport industries. Like all Powervamp engine starters, each unit contains high-performance sealed AGM (absorbent glass mat) lead acid batteries manufactured by Enersys. These specialist batteries are able to deliver massive current instantly, which is ideal for starting engines and turbines. They have no memory effect, can hold their charge for over 12 months, and are considered a perfect power source for the well proven Nato product range.